The honorees of the Equipment category in the 2014 Core77 Design Awards do a great job keeping us more aware of and resilient to the unknowns of living life. Their preventative properties allow us to independently manage ourselves and help others in need, depending on the function. Whether it's helping a person in need or staying safe on the job, the equipment we use on a daily basis can easily be the one tool that's keeping us—or the person/environment we're attending to—alive and thriving. 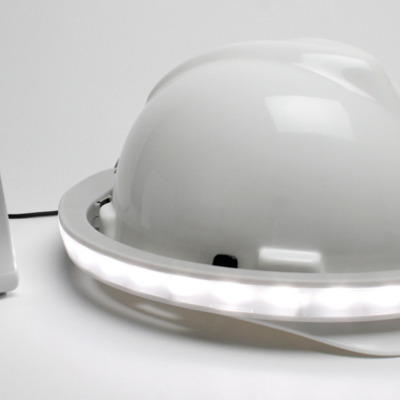 Illumagear and Pensar's Halo light works to keep construction workers more visible in a helmet lamp that fits most existing hardhats. Not only is the design fairly indestructible—the team puts it through a rigorous abuse test—the light is powered by a rechargeable battery attached to a belt or pocket via flexible, safety-release cord. The jury appreciates its necessity: "We all agree that this product is spot-on; it is clever and simple and solves a real need. The way this idea is executed is brilliant—it's high level of functionality and straightforward interface allows it to easily integrate into the daily routine of a worker. Though simple, the final solution takes into consideration various usage scenarios. Where some may have stopped at the iconic halo of light this entrant continues to add various lighting modes to suit the task at hand." 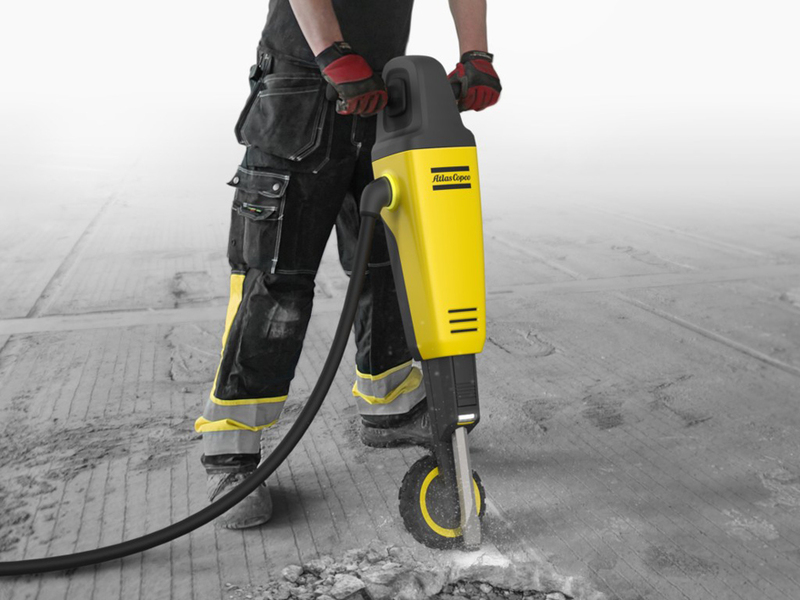 A jackhammer can do damage to much more than the ground beneath it if used incorrectly. Umeâ Institute of Design student Philip Normand Andersen pulls the strain off of the worker with an ergonomic wheel-arm, anti-vibration handles and a vibration monitoring app. The jury was impressed by the problem solving in the design: "The student did a great job identifying an opportunity and solving it in a way that feels natural and simple. Aesthetically, the object feels appropriate for the target industry. The key product differentiator is evident at a glance, while other improvements to the equipment are subtly integrated into the precise and sturdy form. 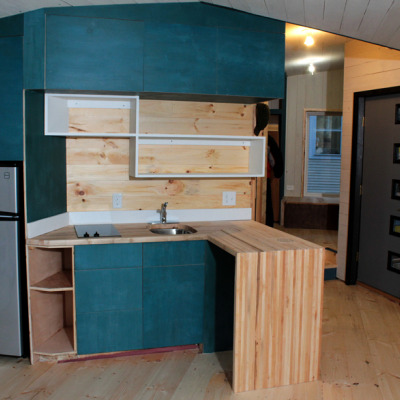 Overall, the design solutions are clever, mature and very well integrated." 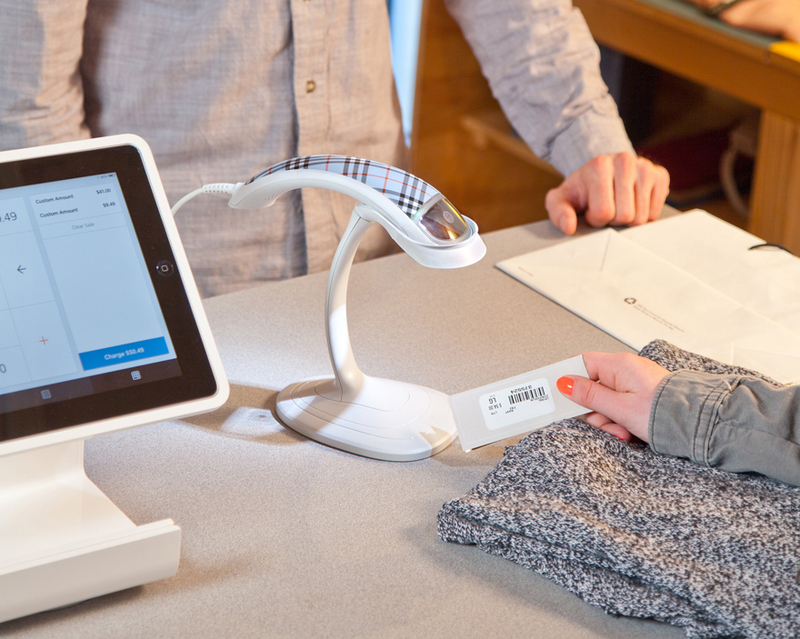 It doesn't matter if you're in the fanciest of destination hotels or a hole-in-the-wall vintage shop on the wrong side of town, there's one part of the consumer experience that hasn't changed much in the past decade(s): the barcode scanner. 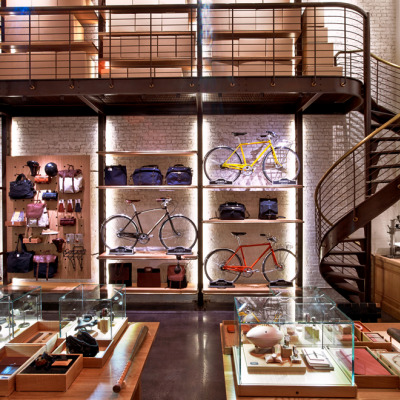 It's a small detail, but Motorola Solutions & Design has introduced an option that offers a bit of customized style without compromising performance. The jury was most captured by the scanner's beautiful design: "The form of this piece is beautiful and elegant and suggests a timeless design. There are some very clever features that add to its functionality, such as the window." There's a reason the first comment out of the judge's mouths was, "I want one!" 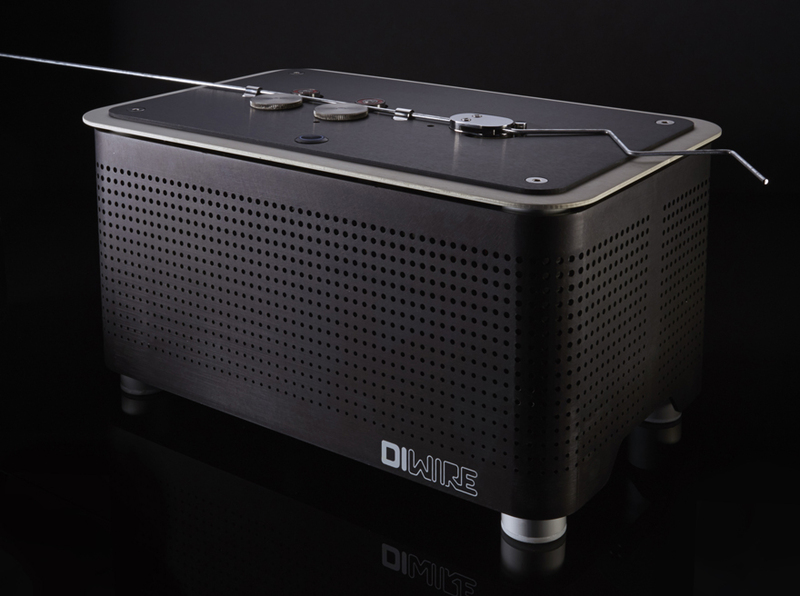 Pensa Lab's DIWire puts the power of precise wire bending into the hands of just about anyone. The Kickstarted product allows users to quickly and simply explore shapes and structures via the first desktop CNC wire bender—from clocks to hanging lamp cages, the opportunities are pretty close to endless. "The solution celebrates the process, showcasing the wire bending mechanism, while establishing attributes of precision and durability in strong supporting roles," says the jury. "Every aspect feels appropriate and precisely crafted. This design is not just about the equipment, it's about what the equipment enables. Extending the solution beyond the wire bender, to mini jigs that aid in final assembly of creations, demonstrates a clear understanding of the user needs and commitment to creative enablement." Umeâ Institute of Design students Alastair Warren and Dawid Dawod redesigned the incubator to become more conducive to helping preterm infants heal in a womb-like environment. The system provides breathing assistance while reducing facial pressure and allowing the parents to hold and interact with their child even during treatment. "This student designed a holistic solution to a very complex problem," says the jury. "We appreciated seeing the expression of the different relationships as design considerations (i.e. doctor and baby, mother and baby). The documentation and rigor of the process was excellent." 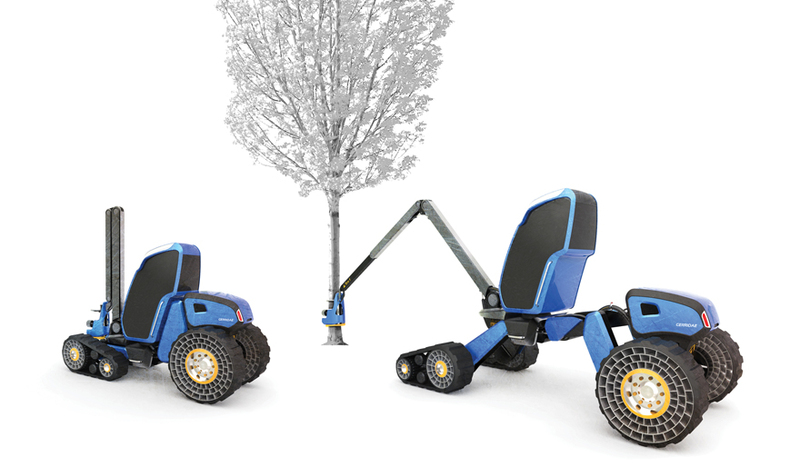 The Gerridae—Ground Sensitive Harvester is designed to minimize the damage done during forestry operations. Umeâ Institute of Design student Ilteris Ilbasan created a vehicle that's almost half the weight of current harvesters with a flexibility that enables better access to cabin, easier transportation, better visibility and improved articulation. The jury was impressed by the attention to detail in the various cases the machine could be used: "This student demonstrated a really deep level of thinking and very comprehensive solution to a specific problem. The articulation throughout the equipment is impressive. We liked that the student thought through the various use cases and how the object would need to contract and expand depending on what it was doing (i.e. harvesting, being transported)." PulseHealthdesigned a device that changes the way we monitor our overall body chemistry and health with a device aimed at monitoring our level of free radicals and stay informed on our health. While PulseHealth created the product, Liquid Agency developed a website, practitioner and patient portals, the test user experience, distributor toolkit and an out of box experience that matched the ground-breaking product it all represents. The jury noted the design's form in terms of function: "We were mostly drawn to this because of it's clever integration of form and function; it was a reminder of what great craft can look like." Bespoke Bracing looks to kick universal plaster cast healing methods to the curb in lieu of a more customized treatment. 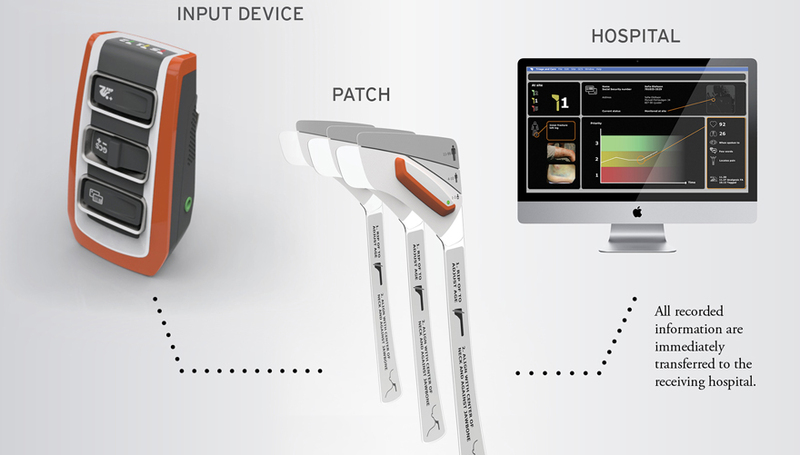 The Bespoke scanner takes a visualization of a patient's arm and transfers the data to cloud-based servers where the best-fitted brace design is chosen based on the images. The entire system consists of the arm scanner, an iPad app, cloud software, 3D printers and four brace designs. "This product is a strong example of when customization can be leveraged to its true potential, delivering an experience that is integrated, personal and strong application of additive manufacturing processes," says the jury. When someone is injured, some of the most important moments occur right after the initial damage has been done. 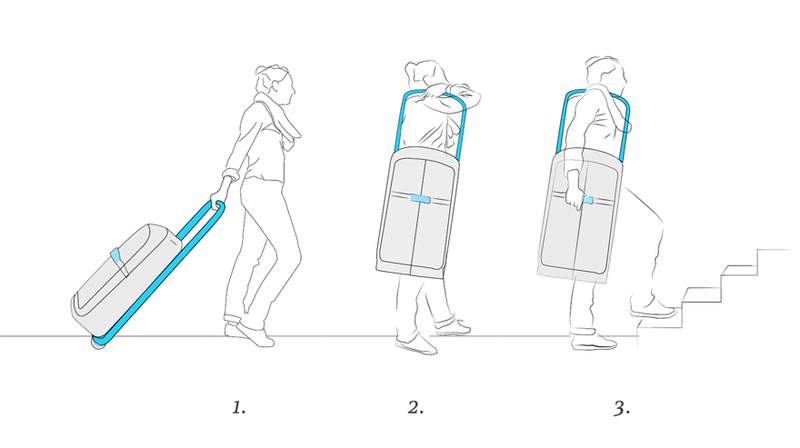 Oslo School of Architecture and Design students Øystein Helle Husby, Per-Johan Sandlund and Natalia Tunheim came up with a design that helps bystanders treat patients before they get to the hospital to prevent further injury. The system uses infrared heat to avoid and treat hypothermia by mimicking the heart to pull blood from the patient's core and into his/her limbs. 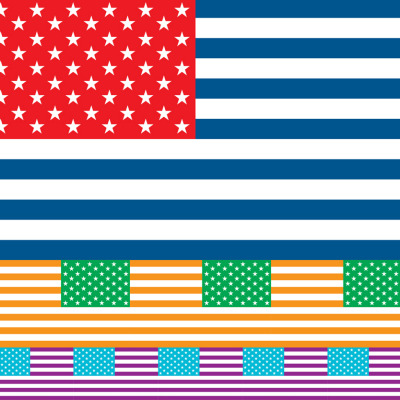 The simple methodology caught the jury's attention: "This entry did a great job articulating the problem (particularly with the graphics used) and proposing a very simple solution." Traveling in space requires an attention to health that's much more detail-oriented than down here on Earth. Lund University School of Industrial Design students Gschwandtl & Knutson teamed up with NASA to design an apparel line focused on the health and safety of a space crew—a team of six can be supported with this project. 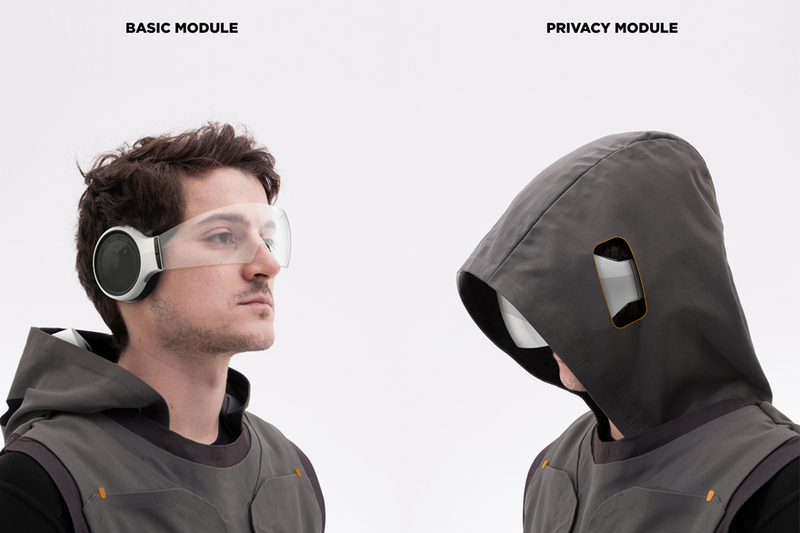 The work is comprised of two parts: The MARS2025 Apparel and MARS2025 Communicator—the first of which is a line of highly durable and functional clothing and the second is a communication device that allows for group and private information sharing. "This student did an exceptional job of executing designs based off of very in-depth research resulting in well thought-out, fashion forward solutions," says the jury. Much like WARM, HeartRead is a system that allows bystanders to jump to action when an accident or health issue arises. 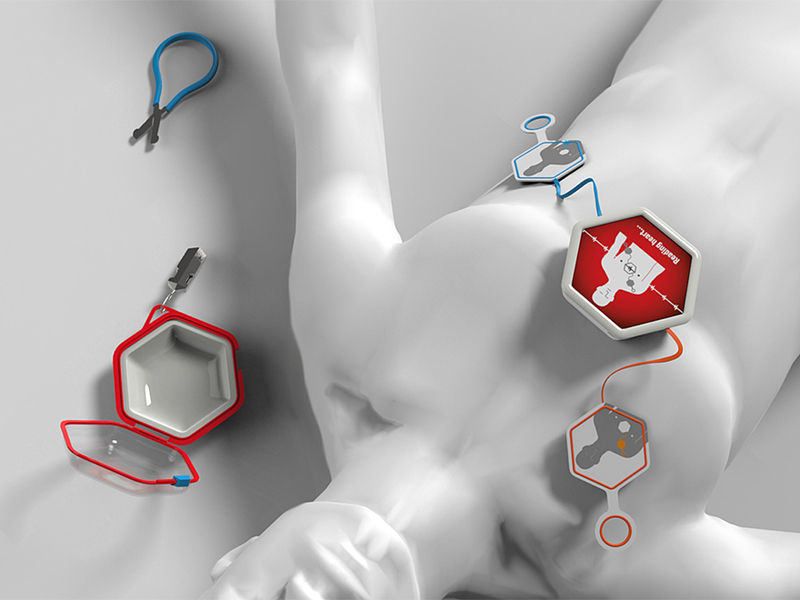 Art Center College of Design student Mariko Higawki Iwai created a device that steps users through the defibrillation process via instructional screen. When someone connects with an operator by calling 911, the operator can activate nearby HeartReads for cardiac use. Once activated, the device's screen lights up with easy to follow instructions that keep both the patient and the user safe. The jury was impressed by the designer's attention to a high-stress situation:"We thought the simple, intuitive design and considered details that this product brought to a high stress situation was exceptional." Working in any situation with multiple responders can be a breeding ground of confusion. When you throw in the time-sensitive pressure of saving lives, being thorough and efficient is in everyone's best interest. 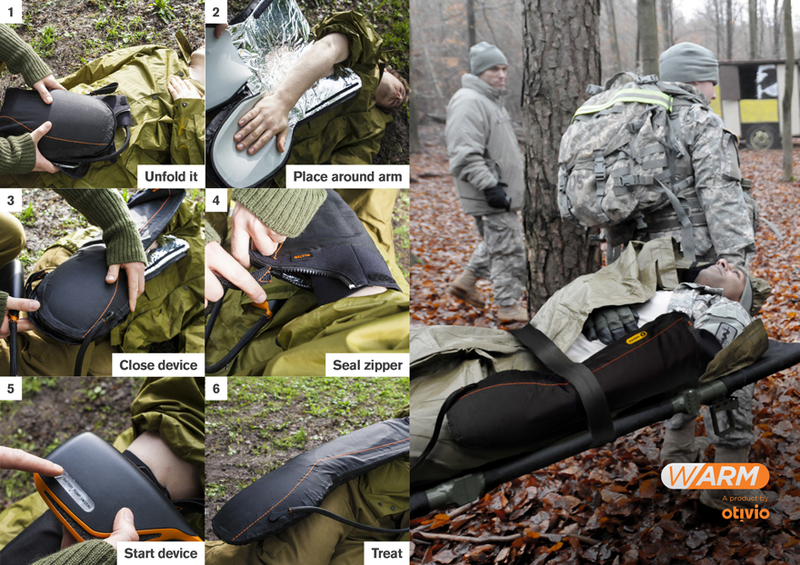 Anton Hoffman—a student at the Umeâ Institute of Design—designed the Moment Triage System with mass casualty situations in mind. The system is made up of two products—a sensor attached to the victims and an input device carried by the paramedics—in an effort to streamline the process of medical attention and identify victims of high priority. "This product demonstrated a very solid idea and leveraged the video to articulate a compelling story," says the jury team. Student Notable: Trompe: A Companion Elephant that Helps Premature Babies Breathe, by Maxime Dubreucq and Robert Provó Kluit. 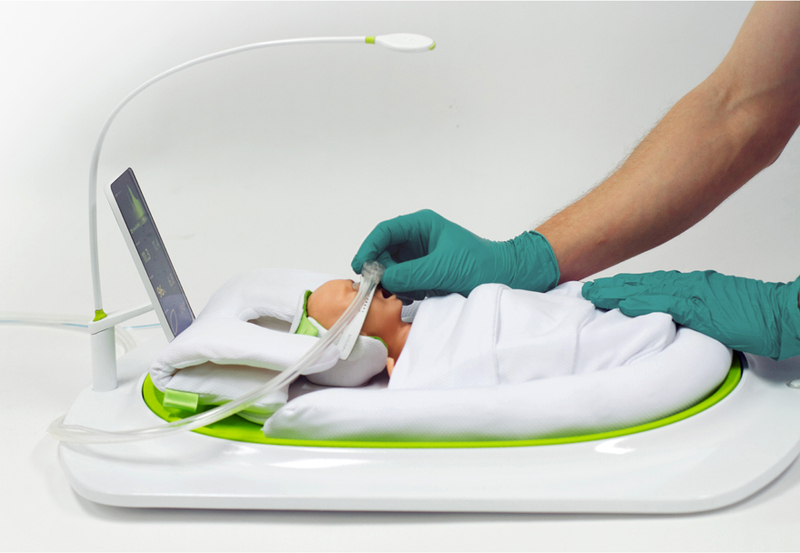 Trompe gives a much-needed, infant-friendly redesign to a life-saving machine. 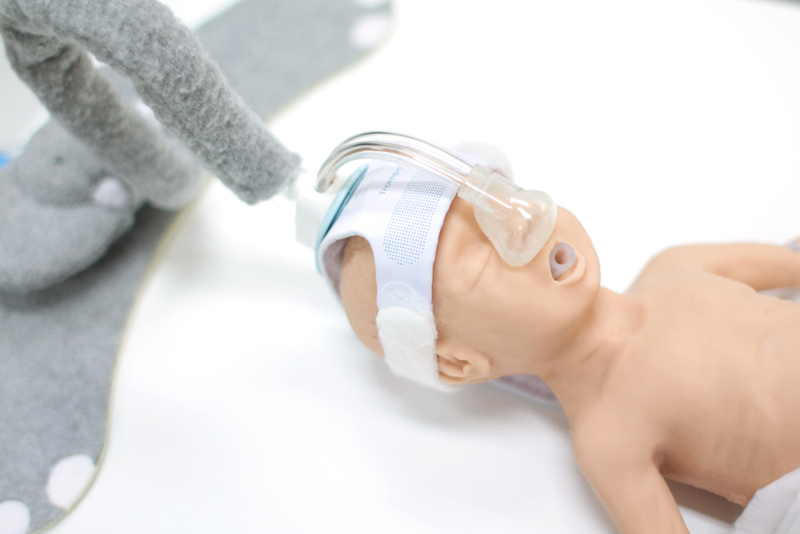 Trompe is a respiratory support device for premature babies with underdeveloped lungs. 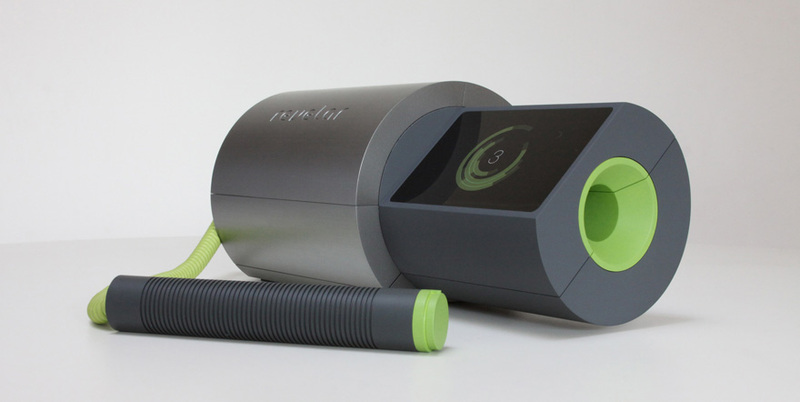 Umeâ Institute of Design students Maxime Dubreucq and Robert Provó Kluit designed a system provides a safe and comfortable amount of air pressure to keep the infant's airways open and unblocked. The jury appreciated the in-depth pre-product work: "The design solution demonstrated in-depth processes and prototyping that led to a piece with a high level of functionality and a very specific resolution." When it comes to luggage, there is always a point where it becomes awkward to carry—not to mention you can count on waking up with sore arms from the simple tasks of lifting your load up flights of stairs. Institut Supérieur de Design students Dupire Diane, Coline Prevost and Léo Marzolf have responded to the age-old task of transporting luggage with Companion—smart luggage that allows you to carry baggage over your shoulder and keep important traveling documents close at hand. "This product solves an everyday problem simply and cleverly and even with a little delight," says the jury.